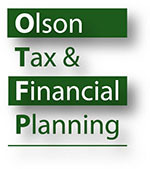 Welcome to Olson Tax & Financial Planning! At OlsonTFP we believe that every day provides a fresh opportunity to make the most of your financial future. Achieve your goals by integrating knowledgeable financial strategies with sound investment management and efficient tax planning. Our mission is to help you make smart financial decisions. And then implement them. How does OlsonTFP help you make the most of your financial future? Fee-only Planning. Unlike many financial advisers, our compensation comes only from our clients and not from sources that might cloud our judgment. Ours is a “fiduciary” relationship where your interests come first. 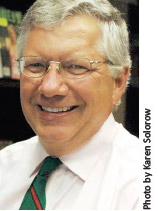 For a complimentary consultation, contact Dan Olson today!